Unless you have an expensive unlimited plan, you probably have to keep an eye on how much mobile data you use every month. Anf streaming video is likely to be one of the biggest culprits for sucking up your data quota. YouTube is the world’s most popular video platform, so it’s no surprise how easy it is to blow through your data allotment with it. Let’s take a look at how much data YouTube uses, how to measure that amount, and tips to reduce YouTube data usage. Just so we’re clear before we proceed: Yes, YouTube uses data. Aside from calling and texting, almost everything you do on your smartphone uses data when you’re not connected to Wi-Fi. That includes using messaging apps such as WhatsApp, streaming music on Spotify or other services, browsing social media sites and the web, and watching videos on YouTube. Consequently, reducing mobile data usage is a concern for many. YouTube’s data usage depends on the quality you use to stream video. The mobile apps offer multiple levels of quality, from a low of 144p all the way to 2160p (4K quality). Estimates for how much data each of these uses vary quite a bit, so let’s run our own calculation to figure this out. Note that this is not exact and your results may vary. YouTube’s recommended bitrates for streaming page contains information on video bitrates for various quality options. We’ll use these as a baseline, though of course not every video is identical. 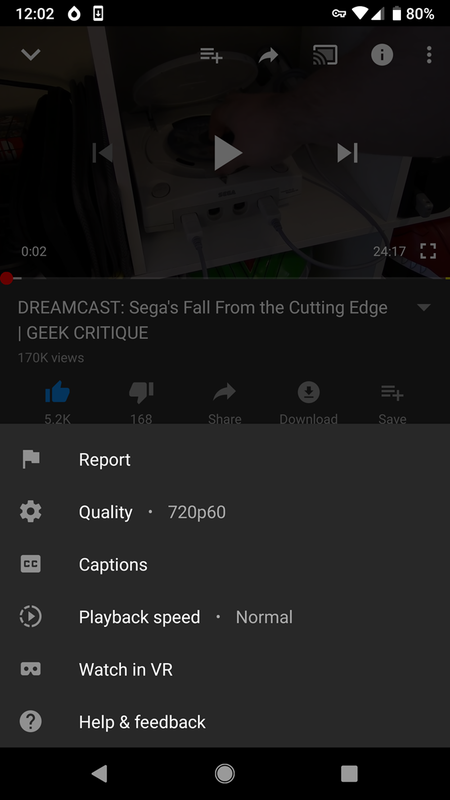 For 480p video (standard quality), YouTube recommends a bitrate between 500 and 2,000Kbps. Let’s average these two extremes and use 1,250Kbps. 1,250Kbps (kilobits per second) divided by 1,000 gives us 1.25Mbps (megabits per second). Since there are eight bits in one byte, 1.25Mpbs divided by eight equals roughly 0.156 megabytes per second of video. Multiplying this by 60 seconds means that 480p video uses around 9.375MB of data per minute on YouTube. 9.375MB per minute times 60 minutes in an hour results in roughly 562.5MB of data per hour of YouTube streaming at 480p. Applying this same calculation to YouTube’s other quality options results in the following estimates for hourly data usage. Note that for 720p quality and above, YouTube also supports videos at 60FPS (frames per second) instead of the standard 30FPS. A higher FPS results in smoother video, but also more data usage, as you’d expect. Check out our tips for smoother video playback if you’re having trouble with 60FPS content. 144p: No bitrate provided by YouTube. For reference, 480p is considered standard definition. 1080p is “full HD,” which is common on YouTube. 4K video isn’t as widespread, but many channels do provide 4K content. 360p is tolerable if you really want to save data, but anything lower than that and you’ll likely struggle to enjoy the video. 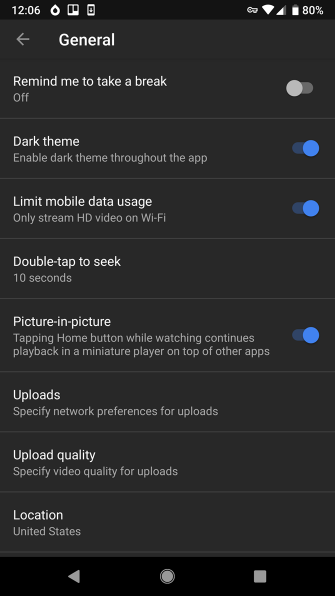 If you want to keep an eye on how much data you’re using on YouTube, both Android and iOS provide ways to do so. 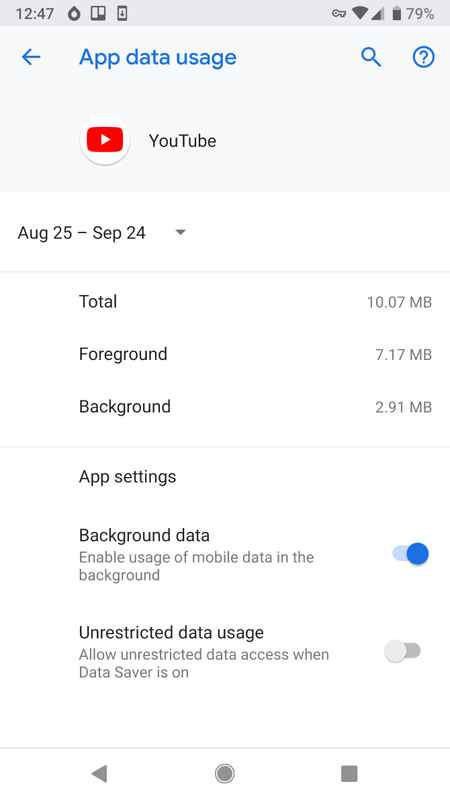 To check YouTube’s data usage on Android, head to Settings > Network & internet > Data usage. 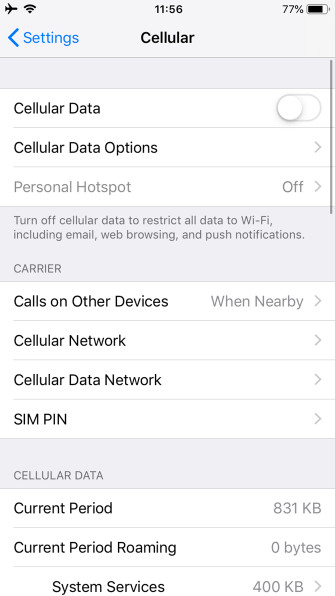 Here you’ll see how much data you’ve used in the current billing cycle. Tap App data usage to see a breakdown by app. In this list, find YouTube and select it. You’ll see a breakdown of its data usage for the current cycle; tap the dates at the top to change this. 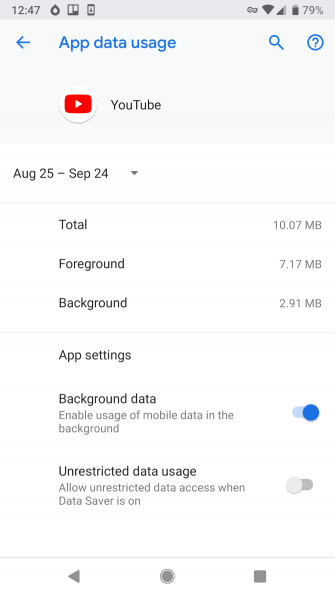 Foreground shows how much data the app used while you had it open and were actively using it. Background data shows what the app consumed while it was minimized. 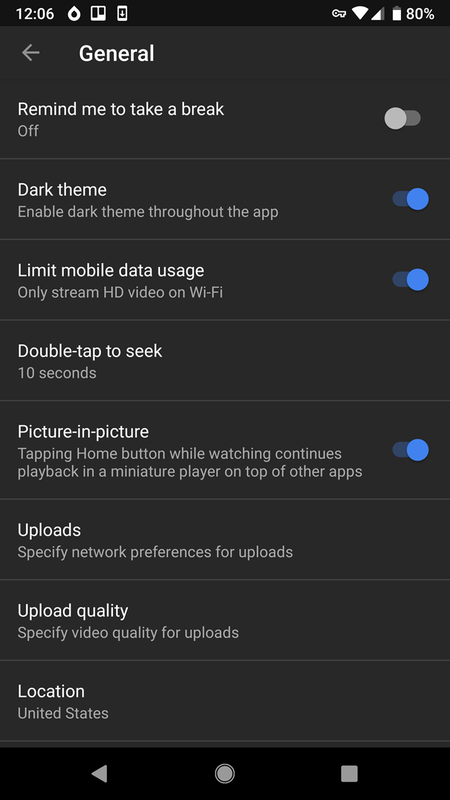 Disable the Background data slider to block YouTube from using your data when you don’t have it open. You might want to take a look at Google’s Datally app for more help saving data. iPhone users can check how much data YouTube uses by navigating to Settings > Cellular. 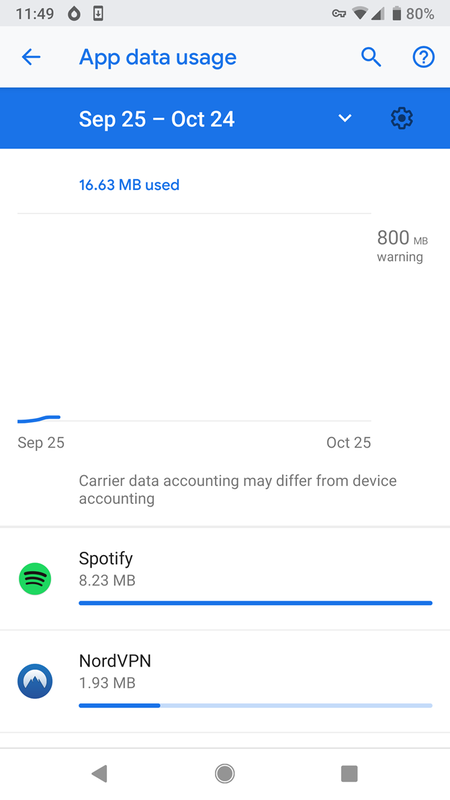 Here you can scroll down a bit and find how much data you’ve used in the Current Period. Like on Android, find YouTube and you’ll see how much data it’s used in that period. 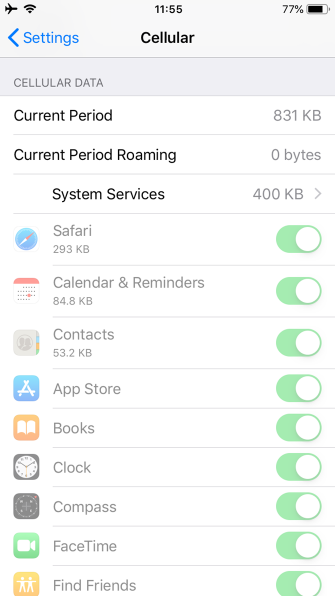 You can check what your iPhone considers the current period at the bottom of this page. 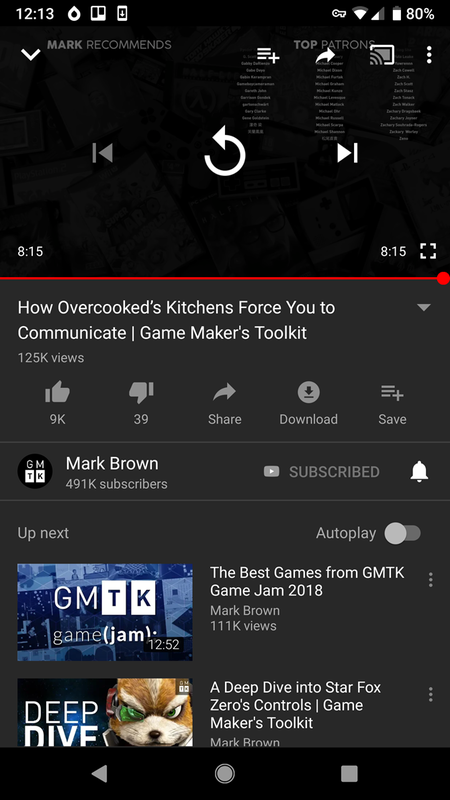 If you want to block YouTube from using data completely, just turn off its slider. You probably don’t want to turn off YouTube’s data access completely. Thankfully, there are other ways to reduce the amount of data YouTube uses that aren’t so drastic. The most important tip is to avoid watching videos in HD while you use data. While watching any video, tap the three-dot Menu button and you’ll see the current Quality. Tap that entry to change it. The available options depend on the uploader. You can choose Auto to set the quality based on network speed, but if you’re trying to save data, it’s better to select it manually. Try 480p for a good balance between data usage and video quality. If you don’t want to change the quality on every video you watch, you can enable an option to restrict HD to Wi-Fi only. 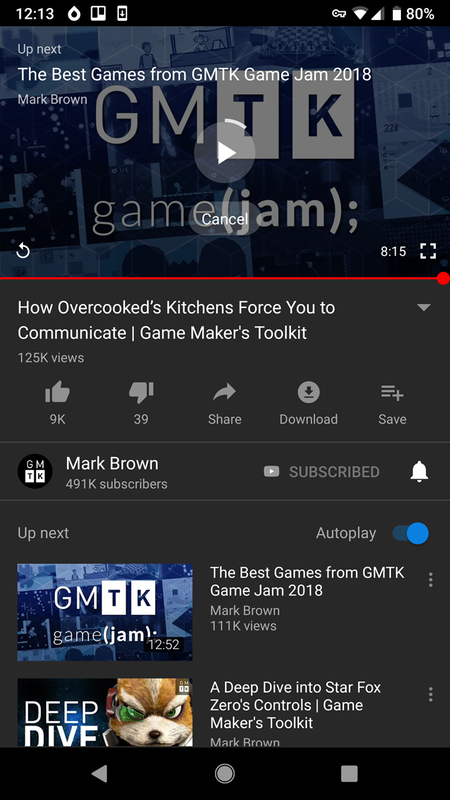 To find this option, tap your profile picture in the top-right of YouTube and select Settings (followed by General if you’re using Android). 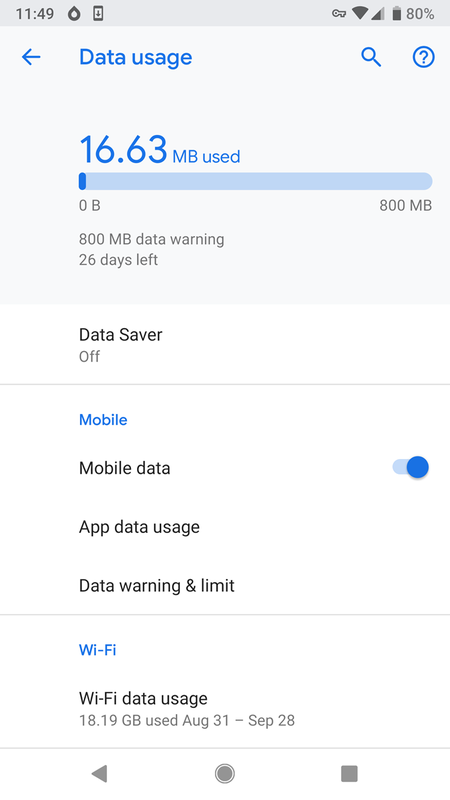 On Android, you’ll find an option called Limit mobile data usage. This is called Play HD on Wi-Fi only on iOS. 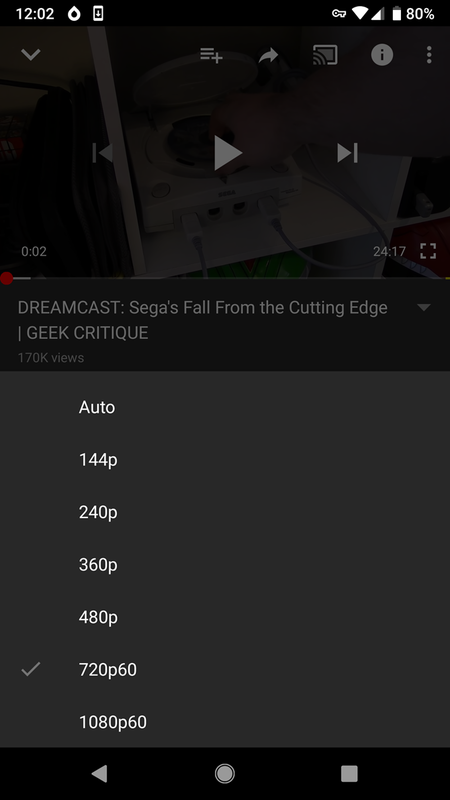 Once you have this enabled, YouTube won’t play videos any higher than 480p on mobile data. You can lower the quality further if you don’t mind watching videos that may as well have been recorded with a potato. YouTube’s Autoplay feature keeps the videos coming even after you finish one. This can waste some data if it starts playing a video you didn’t want without you noticing, plus it adds distractions to YouTube. To disable Autoplay, simply find the Autoplay slider at the Up next section below any video. Disable that, and YouTube will stop loading new videos on its own. YouTube Premium (formerly YouTube Red) is YouTube’s paid subscription service. Among other benefits, such as removing ads, Premium allows you to download videos offline to your phone for viewing anywhere. Premium is a bit expensive at $ 12/month. But if you watch a lot of YouTube, that outlay can pay for itself in the data charges you save. You can download a batch of videos when you’re on Wi-Fi at home, then watch them on the go without using data. 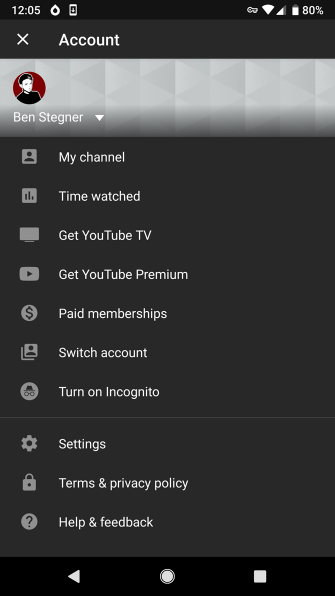 Check out our overview of YouTube Premium if you need more information. Now you know about YouTube’s data usage you can make informed decisions about how much you can stream each month. By limiting HD viewing to Wi-Fi and disabling autoplay, you can still enjoy some YouTube on the go without sucking up too much data. Be careful, though, as YouTube has a way of drawing you in for longer than you’d think. Plus, YouTube isn’t alone in stealing your data, as this list of popular apps that use a ton of data shows. Thankfully, you have options to reduce the data usage on all of them, so what are you waiting for? Read the full article: How Much Data Does YouTube Use?